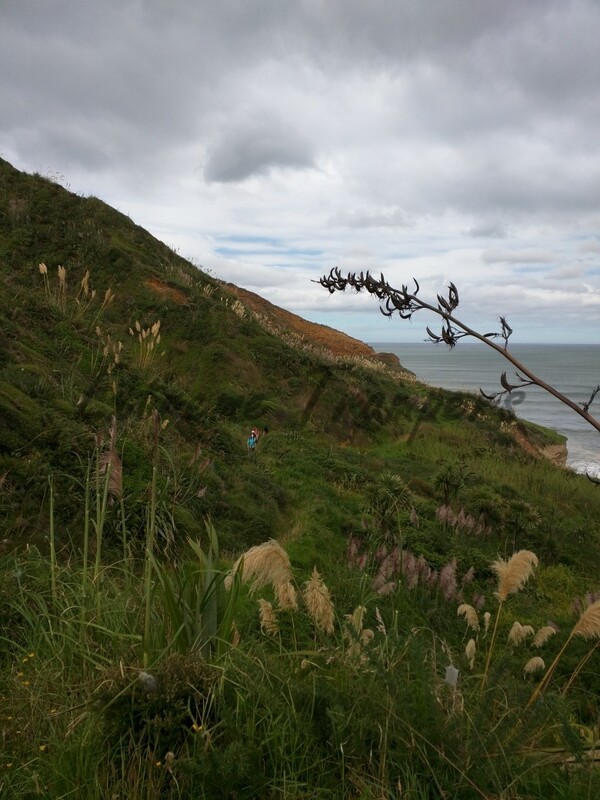 Costal walk north of Bethells. 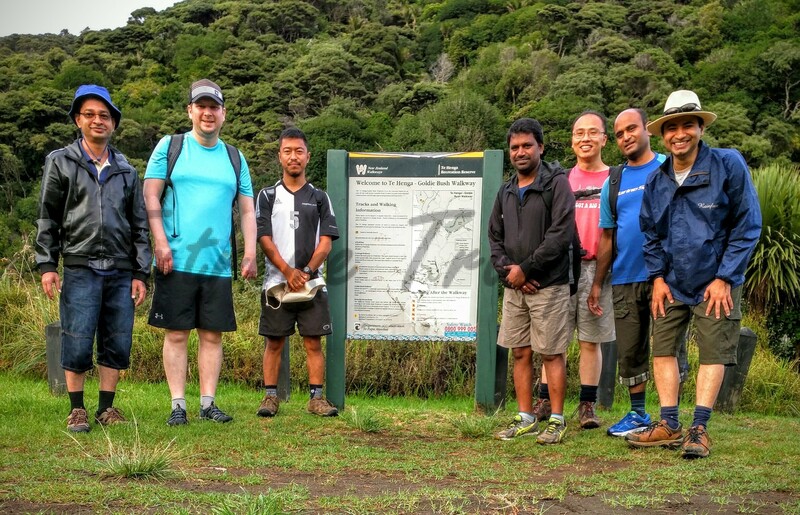 Continuing from where we left last time, we started from te henga walkway carpark which is almost opposite to lake wainamu car park. Everyone was on time and we had Giri joining us after a long break. The whole walk was pretty normal and easy going. You start wearing out slowly as you keep moving for hours. The views from the walkway are awe-inspiring. 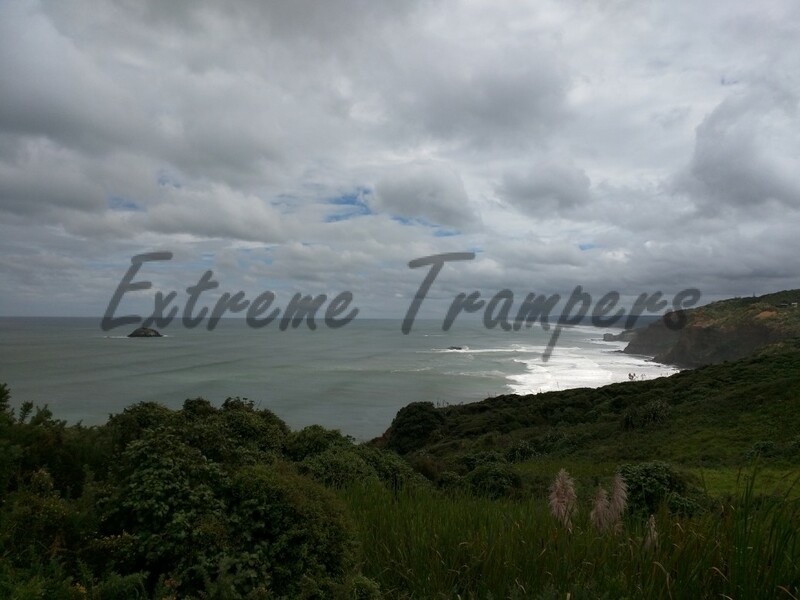 The plan was to go till the end of the walkway and on the way, we crossed three cliffs facing the sea. The middle one is at the intersection of walkway and Rodney Waitakere Ranges line. From here you can look at sea as well as cliffs on both ends. The extreme point on this cliff gives amazing 360 degree view. Lot of photos were clicked by us at this point, thanks to some unique photo ideas from Chee. There are some muddy crossings where you want to be careful as they can turn out to be dangerous. We found many spots to stop by and enjoy the beauty all around while having a bite. You can find so many beautiful rock formations coming out of sea in closed areas between different hills. The last point was jonkers rock where we had our lunch while sitting facing the sea at top of the hill. The wind was very strong that day which was very helpful to combat with hot sunny day but Nitesh almost lost his hat here – thanks to Kirill for diving to catch it. We witnessed high tide starting up and then going full force all this way. We were hoping to reach at beach during low tide to catch up with caves etc. It turned out the Giri was in more hustle than anyone else and we couldn’t find him anywhere over our way back making Bharat worry for his ride back to home. On crossing the second cliff, we took right from walkway towards o’neill bay beach. It is a beautiful beach with caves at different ends. We tried to explore the caves but it turned out that there was no way going inside them. 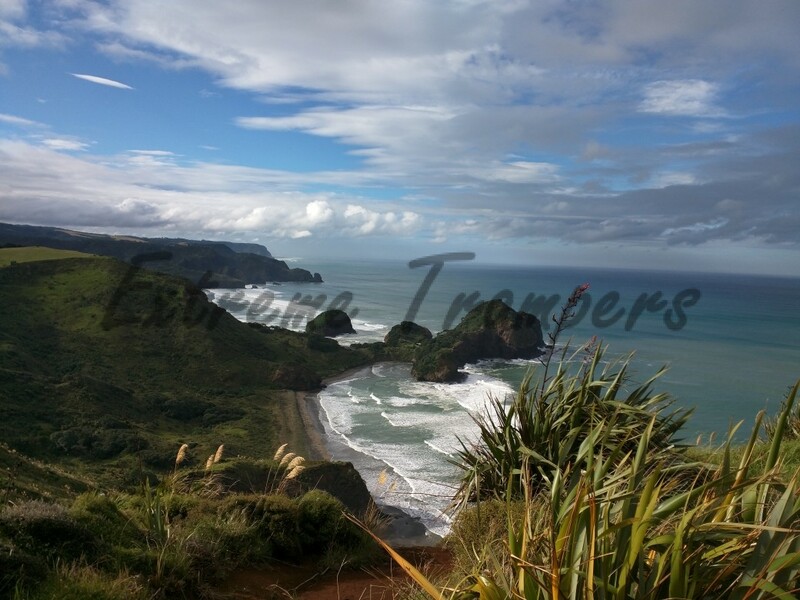 Once we exhausted the tries from different ends to enter the caves, we moved on to bethells beach which was just one sand dune away from there. We were greeted by a cave just when we came down from the dune. The cave went far inside and opened up to the sea on the other end. Thanks to the right timing, it was low tide and we were able to explore the cave without any difficulty. The cave divided into three different sections going down with one end filled up with water, other one opening to sea and third one going deep towards other opening back to the beach. It was interesting to find similarities between this cave and the one over mercer bay we had been to last year. 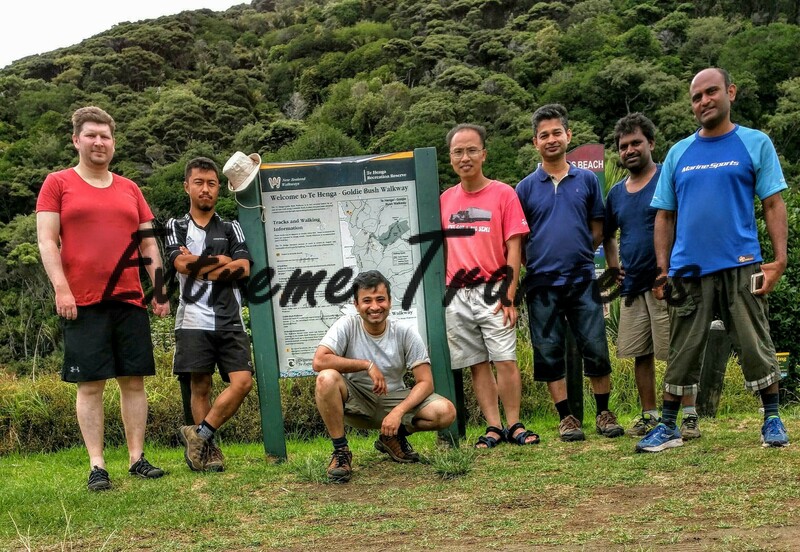 Then it was time for us to go to bethells beach where Kirill, Sujan and Nitesh dived into the sea while other three decided to explore the caves out there. High tide was just starting and therefore water had just started coming with high pressure. After finishing the plunging and drying up, we reached at bethells beach cafe – it is a nice little cafe with almost every drink you want to have after spending a hot summer day on beach. From there we walked to the parking location, still wondering about whee Giri disappeared and to our surprise, he was waiting for us at the car park. From here we drove to our final meeting point. In the aftermath, Kema did beautiful simulation of different gpx track recordings which you can check out from the link provided above. This entry was posted in 2016, difficulty level - 3 by Nitesh Gautam. Bookmark the permalink.